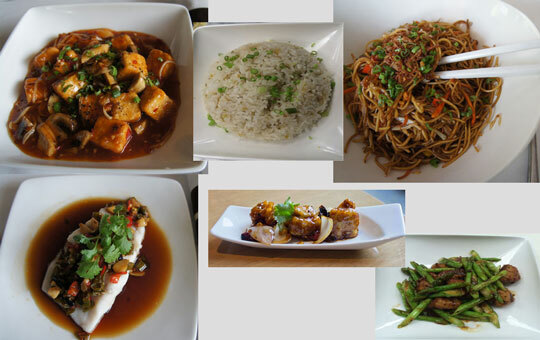 In India, away from the desi khana, the most talked about cuisine is Chinese, and there’s no corner in this country, where you wouldn’t find the variants of this trendy cuisine (sometimes even with a desi tadka) to fit your bill. However, it’s the authentic Chinese that sought the innovation all these days to achieve variation in looks and taste without losing its novelty. 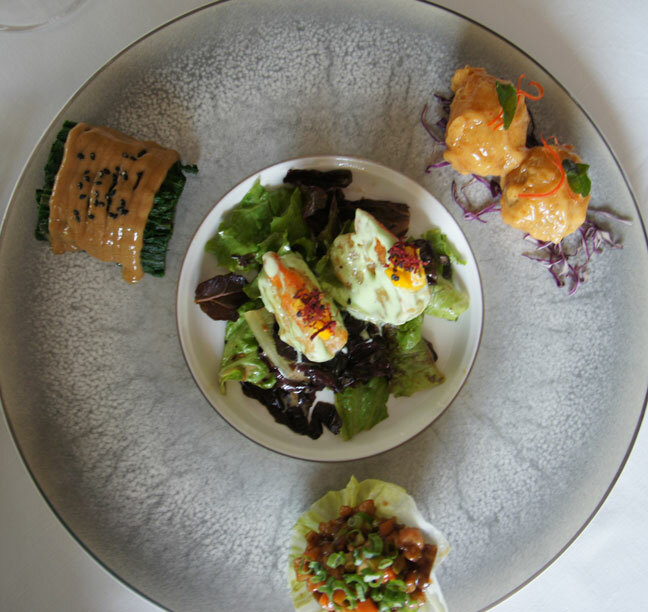 It is this challenge that Dusit Devarana, located in New Delhi, tried to accomplish during the sampling of their new lunch menu at Chi Ni, the fine dining Chinese restaurant. 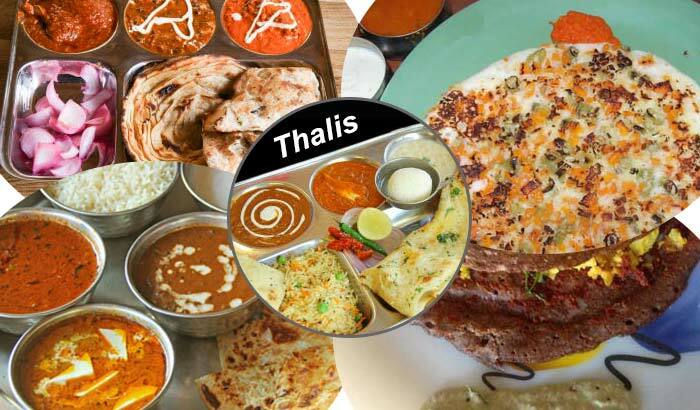 And TravelRasoi being an advocate of authentic tastes, couldn’t think of missing the new Menu launch. It was my first visit to Dusit Devarana, and the first thing that struck my mind looking at the greenery around was – this is the place you would want to visit if you are looking for a getaway. As you move towards Chi Ni, you are greeted with anenormous view of the expanding landscape and a walk through it would make you feel even more overwhelmed. And for all those who loves to explore views during the day time, Chi Ni that has always been a haven for dinner dates, is opening up during lunch hours too, from 12.30 – 3 PM. 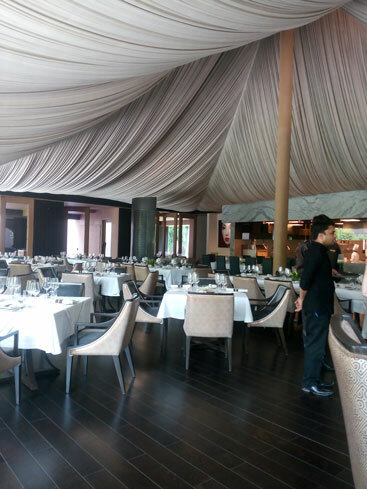 While the outside boasted of a distinctive panorama, I was equally overwhelmed by the inside of the Chinese restaurant that was getting ready to open for lunch; it is a beautifully designed restaurant under a tent canopy. I was looking at the interiors around when the strikingly gorgeous Hotel Manager, Birgit Holm, the lady with a beautiful smile, Ritu Bararia and the sweet lady, Shreya Dhawan, came forward to greet me. 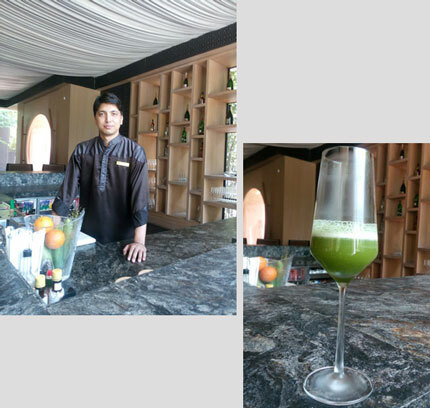 Coming from the scorching heat outside, a cool Welcome Drink was all that I could have hoped for. I was offered a refreshing Pineapple and Celery Cooler. I asked with curiosity the ingredients of drink and the person serving the drink told me it contained celery, coriander, pineapple anda hint of lemon. 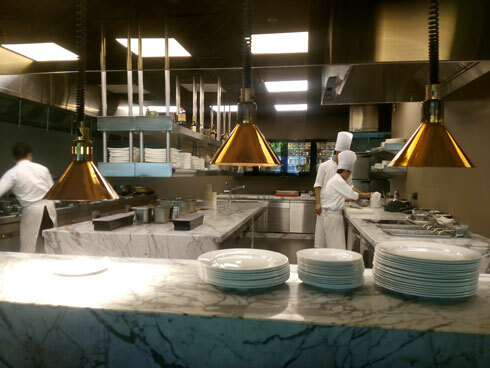 While enjoying my drink, I got up to see the Live Kitchen; it was indeed a nice view of chefs preparing dishes and serving the customers with the good old Chinese cuisine. As it was a blogger get-together, I got an opportunity to meet other bloggers too. 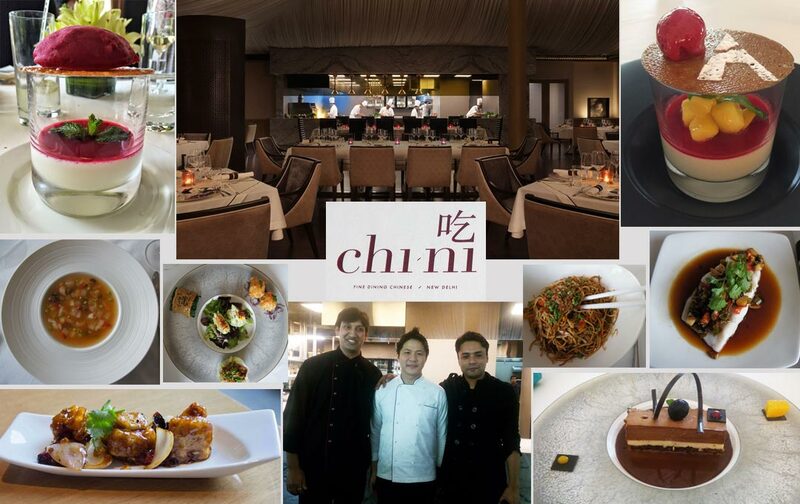 We all sat together to have a hearty lunch of Chi Ni’s new four-course lunch menu, specially prepared by Chef Ban, Head Chef of Chi Ni restaurant. 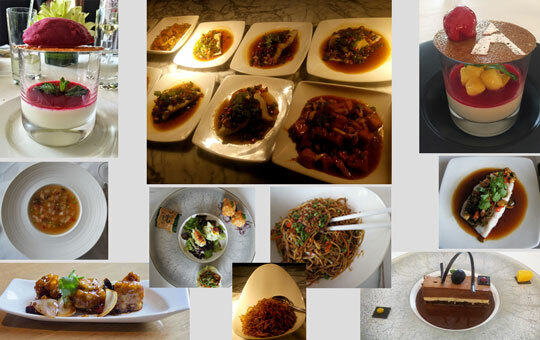 The four-course meal included fragile soups, energizing appetizers, delectable main course and mouth-watering desserts. The Menu had both Vegetarian and Non vegetarian recipes. I started with a Sweet Corn Vegetable soup that had an incredible essence of pepper. 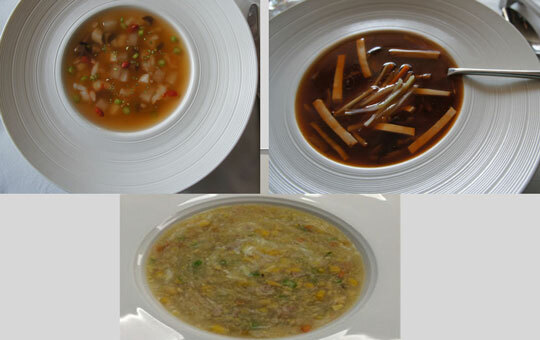 There was also the option of Hot and sour Vegetable/Chicken soup and Ash gourd seafood soup. It was time for some luscious appetizers; being an eggetarian, I couldn’t dip my spoon into the array of non-veg dishes, but what surprised me was the menu had a good number of options for vegetarians too, starting from Blanched spinach, crispy spicy mushrooms to Lettuce wraps and vegetarian shrimp (soya). I got to know from one of my non-vegetarian blogger friend that Wasabi shrimps were really great. I could sense from him that the Non veg menu too is an immense one and there are a lot of items to choose from. 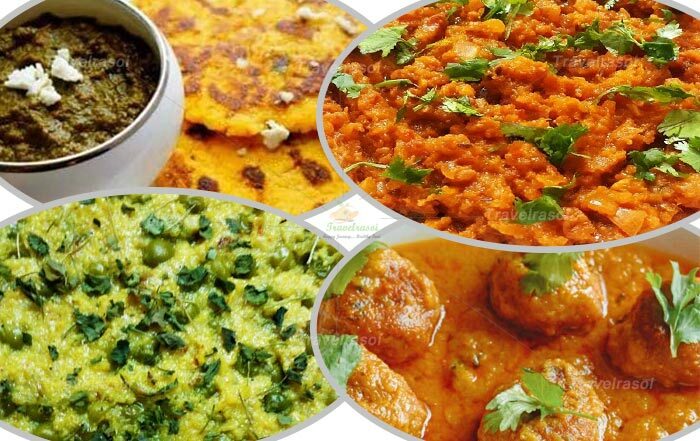 Just like the soup and appetizers, the Main course was full of flavor and aroma for both veg and non veg lovers. I enjoyed savoring Bean-curd with 3 kinds of mushroom preparation, vegetarian chicken (mock chicken) with three chillies, Ginger fried rice and Hong Kong Noodles. For non-vegetarians, there was Wok fried chicken and Schezuan steamed India sea bass that I can arguably say that one would not regret having it. 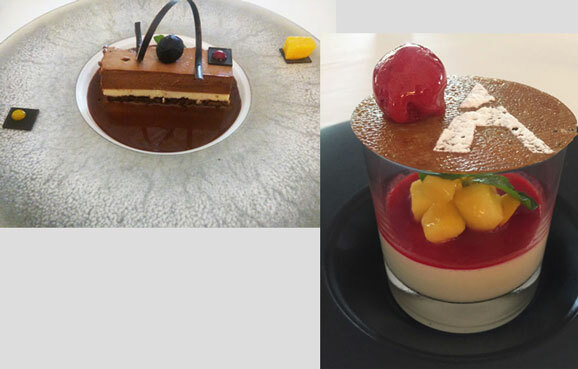 The tantalizing tasty experience however does not end here – as we were still left with desserts. We got a yummy serving of Splendid Baked Yogurt and Senses of Chocolate to try. I preferred the Senses of chocolate that had no added preservative and less of sweetness. It was one of the best chocolate desserts I had till date. 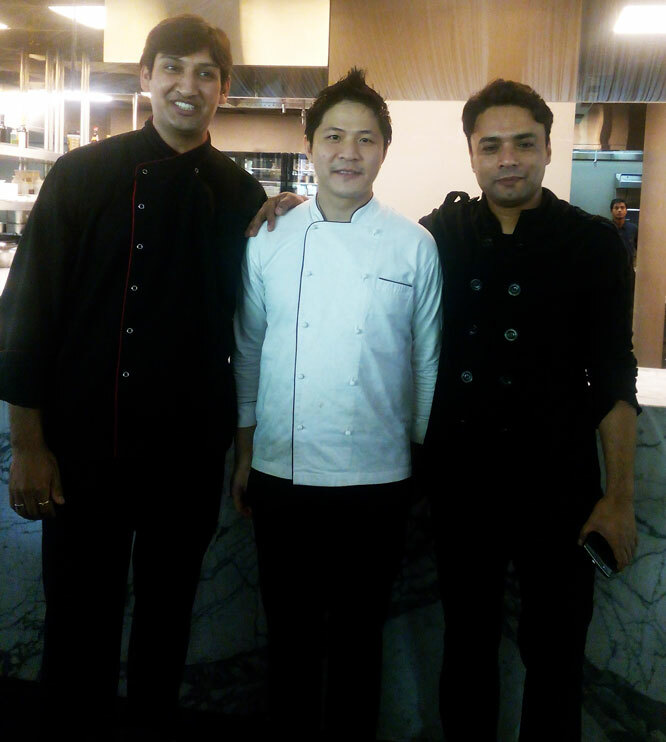 Executive Chef, Nishant Chaubey, took us through the whole menu while Pastry Chef, Anand Panwar, presented us the Desserts with a live demonstration of his specialty and skills. 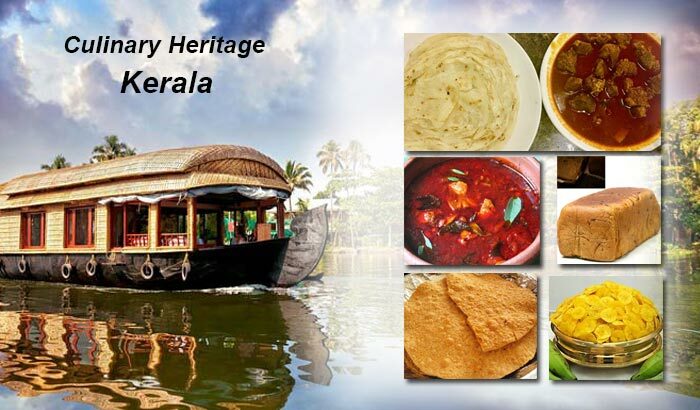 The lip-smacking food in the menu left me craving for more and it was definitely worth the visit. Anyone who is in love with Chinese food should definitely make it to Chi Ni (at least once) for an incredible experience, both in terms of food and the ambience. I would have loved to see the beautiful property of Dusit Devarana but realizing that I was already running late, I had to make my move, hoping to visit this place someday soon. 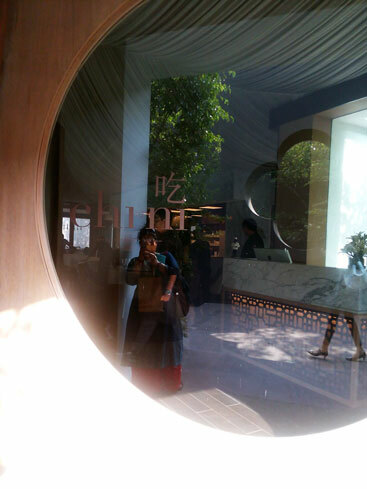 Share the post "Enjoy the new Chinese Lunch Menu at Dusit Devarana’s Chi Ni"